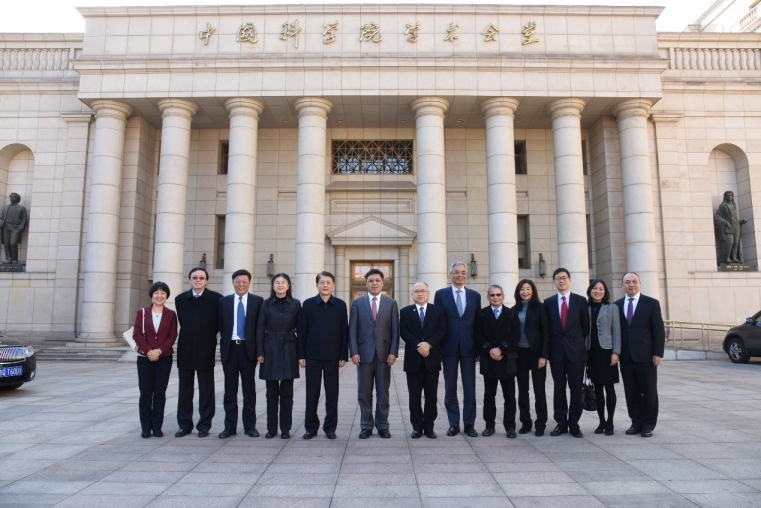 Mar 7, a strategic cooperation seminar was held in Chinese Academy of Sciences, Institutes of Science and Development (CASISD). 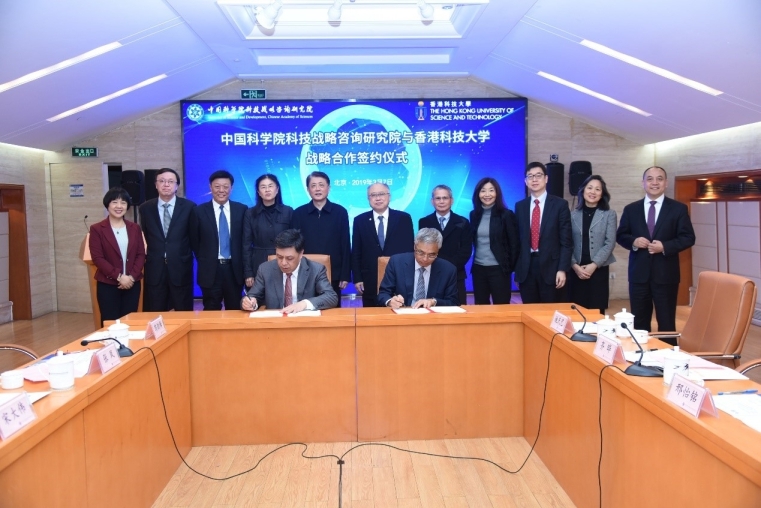 The attendees included representatives from CASISD and the Hong Kong University of Science and Technology (HKUST), during which, PAN Jiaofeng, the president of CASISD, signed a Memorandum of Understanding (MOU) with SHYY Wei, the president of HKUST. According to the memo framework, a comprehensive and in-depth cooperation will be conducted in the Guangdong-Hong Kong-Macao Greater Bay Area, with a broad research fields of science and technology policy, innovation policy, management science and engineering, sustainable development and digital economy. Moreover, a cooperation mechanism will be established between CASISD and HKUST in the forms of high-level visits, personnel exchange, joint education and seminar, setting up and undertaking strategic and policy research project together, etc. Since the establishment of CASISD, a series of paramount achievements have been made on serving macro-decision, leading innovation direction and developing fundamental theories, among which the foundation of the Strategic Institutes of the Great Bay Area is an outstanding accomplishment for CASISD playing an active role as a high-caliber science and technology think tank in the planning and construction of the Guangdong-Hong Kong-Macao Greater Bay Area, said Professor PAN Jiaofeng. Mr. LIAO Andrew Cheung-Sing, the council chairman of HKUST, also introduced that, the university has been playing an important role in promoting the innovation of Hong Kong in the fields of science and technology, business, humanities and social science, etc. He also expressed the willingness to carry out further cooperation with the CASISD to jointly impulse the national development of science and technology innovation.